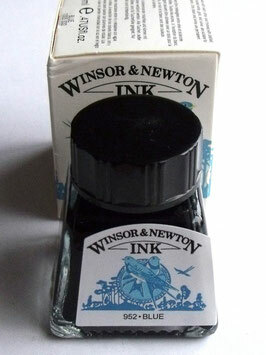 One 14ml bottle of White Ink. 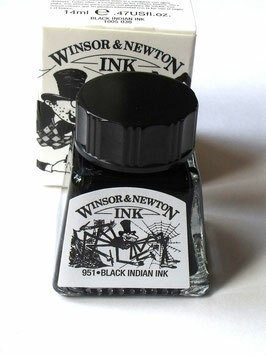 Winsor and Newton Drawing Inks are formulated from a series of soluble dyes in a superior shellac solution. They can be applied with a brush or mapping pen. The colours offer outstanding brilliance and transparency and are fast drying , water resistant, intermixable and easily diluted with distilled water. One 14ml bottle of Brillian Green Ink. Winsor and Newton Drawing Inks are formulated from a series of soluble dyes in a superior shellac solution. They can be applied with a brush or mapping pen. The colours offer outstanding brilliance and transparency and are fast drying , water resistant, intermixable and easily diluted with distilled water. One 14ml bottle of Viridian Blue-Green Ink. 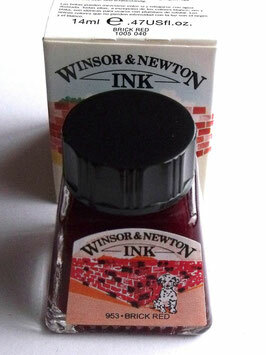 Winsor and Newton Drawing Inks are formulated from a series of soluble dyes in a superior shellac solution. They can be applied with a brush or mapping pen. The colours offer outstanding brilliance and transparency and are fast drying , water resistant, intermixable and easily diluted with distilled water. 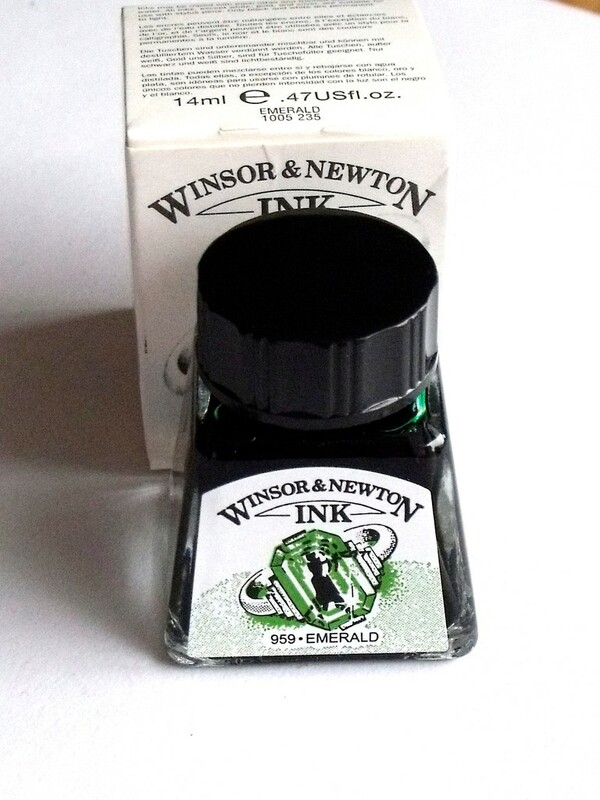 One 14ml bottle of Emerald Ink. Winsor and Newton Drawing Inks are formulated from a series of soluble dyes in a superior shellac solution. They can be applied with a brush or mapping pen. The colours offer outstanding brilliance and transparency and are fast drying , water resistant, intermixable and easily diluted with distilled water. 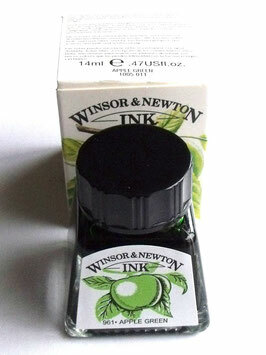 One 14ml bottle of Apple Green Ink. Winsor and Newton Drawing Inks are formulated from a series of soluble dyes in a superior shellac solution. They can be applied with a brush or mapping pen. The colours offer outstanding brilliance and transparency and are fast drying , water resistant, intermixable and easily diluted with distilled water. One 14ml bottle of Peat Brown Ink. 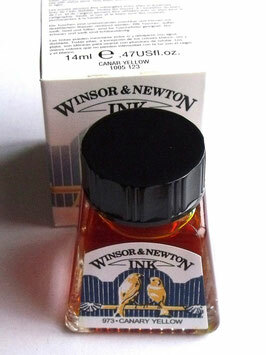 Winsor and Newton Drawing Inks are formulated from a series of soluble dyes in a superior shellac solution. They can be applied with a brush or mapping pen. The colours offer outstanding brilliance and transparency and are fast drying , water resistant, intermixable and easily diluted with distilled water. 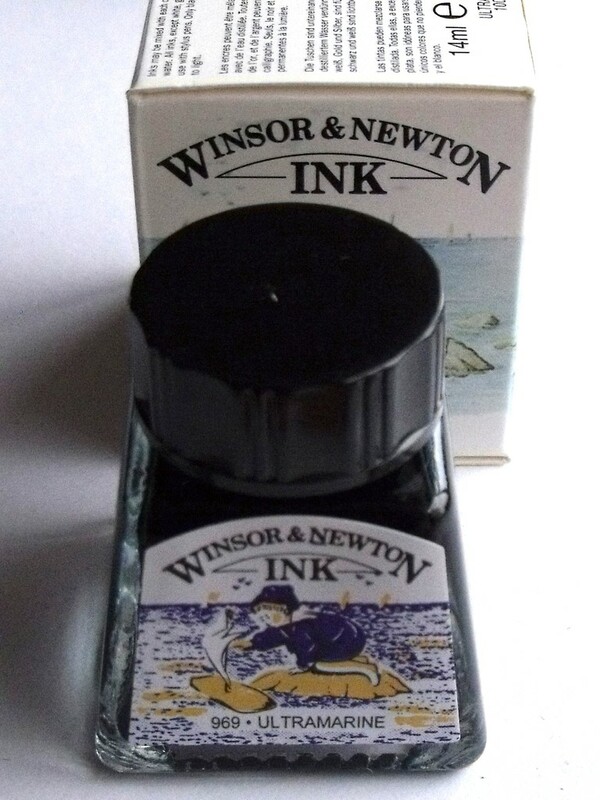 One 14ml bottle of Nut Brown Ink. 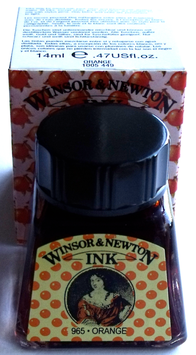 Winsor and Newton Drawing Inks are formulated from a series of soluble dyes in a superior shellac solution. They can be applied with a brush or mapping pen. The colours offer outstanding brilliance and transparency and are fast drying , water resistant, intermixable and easily diluted with distilled water. One 14ml bottle of Gold Ink. All the colours are intermixable. 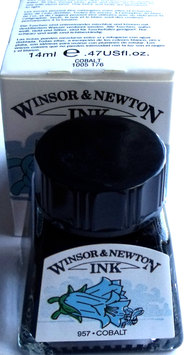 Gold and Silver should be added to other inks in small quantities to avoid thickening. They can be applied with a brush or mapping pen. The colours offer outstanding brilliance and transparency and are fast drying , and easily diluted with distilled water. One 14ml bottle of Silver Ink. All the colours are intermixable. 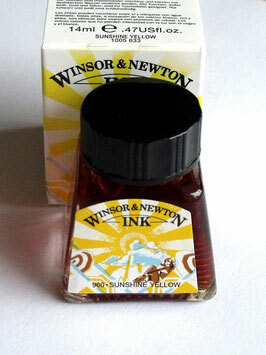 Gold and Silver should be added to other inks in small quantities to avoid thickening. They can be applied with a brush or mapping pen. The colours offer outstanding brilliance and transparency and are fast drying , and easily diluted with distilled water. 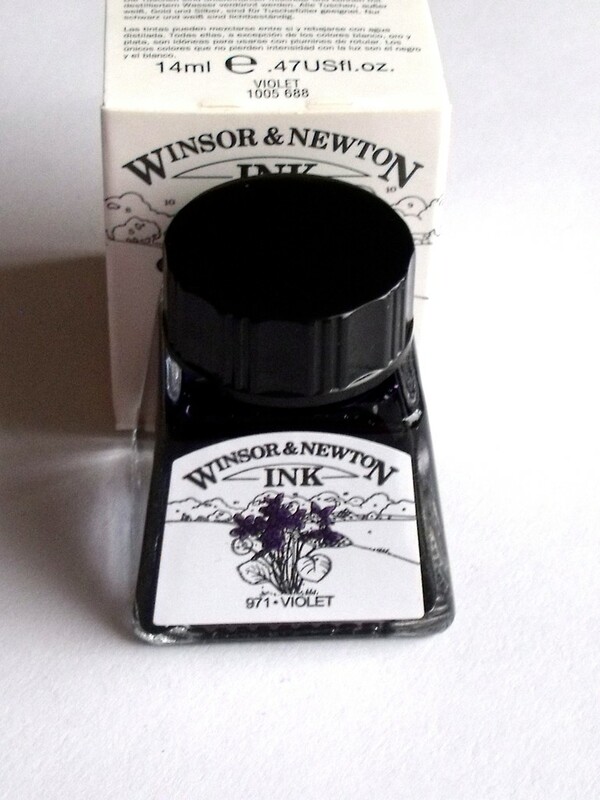 One 14ml bottle of Violet Ink. 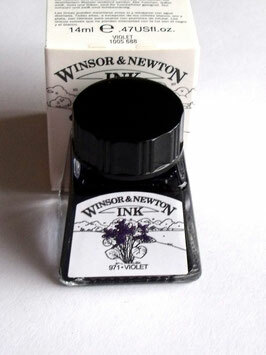 Winsor and Newton Drawing Inks are formulated from a series of soluble dyes in a superior shellac solution. They can be applied with a brush or mapping pen. The colours offer outstanding brilliance and transparency and are fast drying , water resistant, intermixable and easily diluted with distilled water. One 14ml bottle of Purple Ink. Winsor and Newton Drawing Inks are formulated from a series of soluble dyes in a superior shellac solution. They can be applied with a brush or mapping pen. The colours offer outstanding brilliance and transparency and are fast drying , water resistant, intermixable and easily diluted with distilled water. One 14ml bottle of Brick Red Ink. 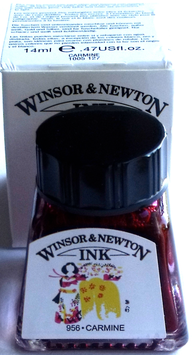 Winsor and Newton Drawing Inks are formulated from a series of soluble dyes in a superior shellac solution. They can be applied with a brush or mapping pen. The colours offer outstanding brilliance and transparency and are fast drying , water resistant, intermixable and easily diluted with distilled water. 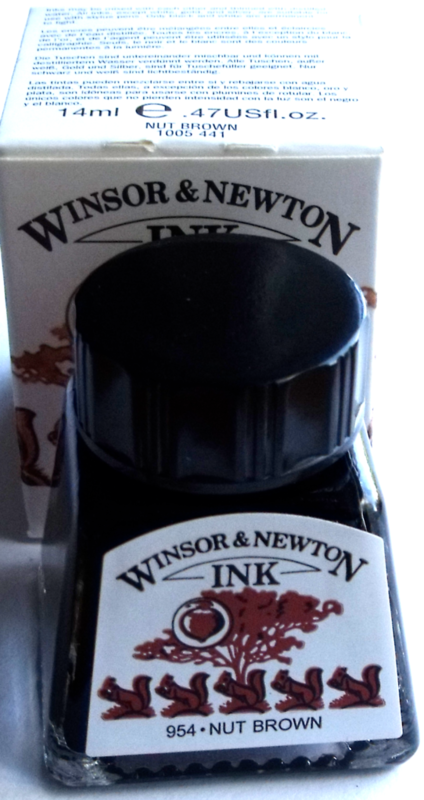 One 14ml bottle of Deep Red Ink. 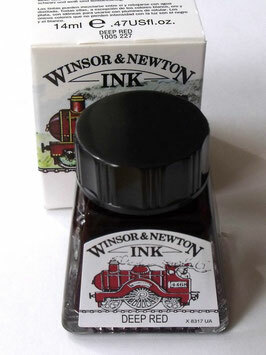 Winsor and Newton Drawing Inks are formulated from a series of soluble dyes in a superior shellac solution. They can be applied with a brush or mapping pen. The colours offer outstanding brilliance and transparency and are fast drying , water resistant, intermixable and easily diluted with distilled water. One 14ml bottle of Crimson Ink. 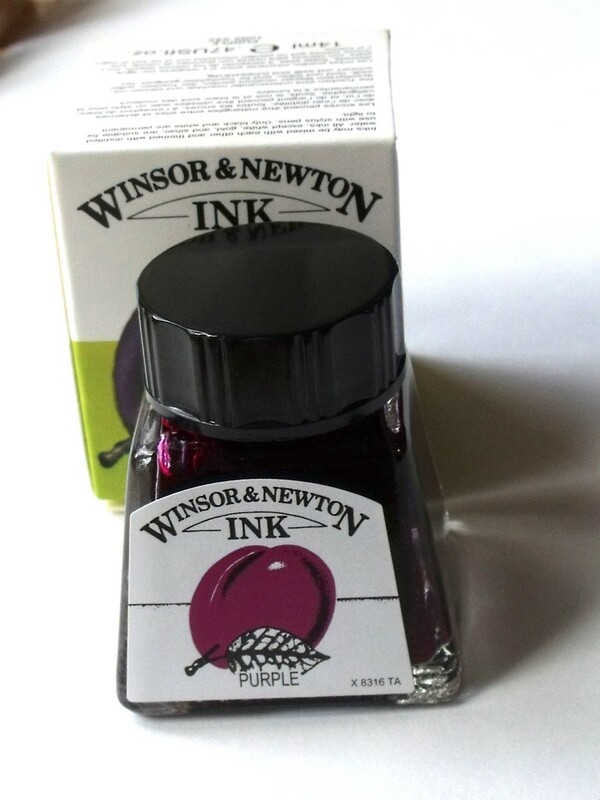 Winsor and Newton Drawing Inks are formulated from a series of soluble dyes in a superior shellac solution. They can be applied with a brush or mapping pen. The colours offer outstanding brilliance and transparency and are fast drying , water resistant, intermixable and easily diluted with distilled water. One 14ml bottle of Carmine Ink. Winsor and Newton Drawing Inks are formulated from a series of soluble dyes in a superior shellac solution. They can be applied with a brush or mapping pen. The colours offer outstanding brilliance and transparency and are fast drying , water resistant, intermixable and easily diluted with distilled water. One 14ml bottle of Blue Ink. 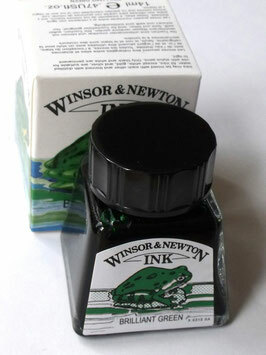 Winsor and Newton Drawing Inks are formulated from a series of soluble dyes in a superior shellac solution. They can be applied with a brush or mapping pen. The colours offer outstanding brilliance and transparency and are fast drying , water resistant, intermixable and easily diluted with distilled water. One 14ml bottle of Cobalt Ink. 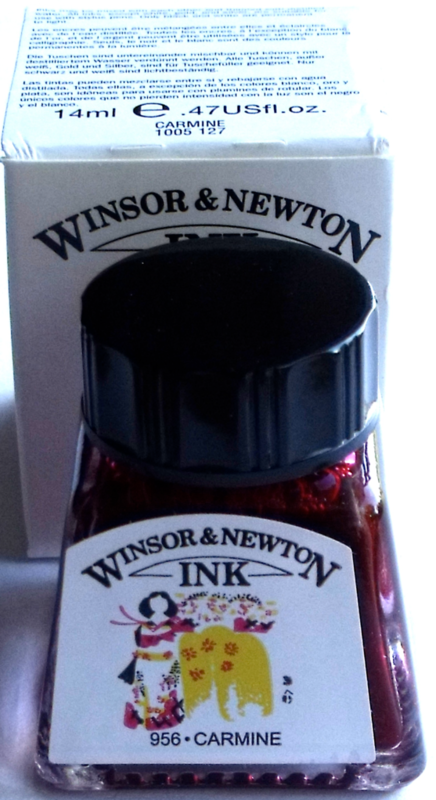 Winsor and Newton Drawing Inks are formulated from a series of soluble dyes in a superior shellac solution. They can be applied with a brush or mapping pen. The colours offer outstanding brilliance and transparency and are fast drying , water resistant, intermixable and easily diluted with distilled water. One 14ml bottle of Sunshine Yellow Ink. 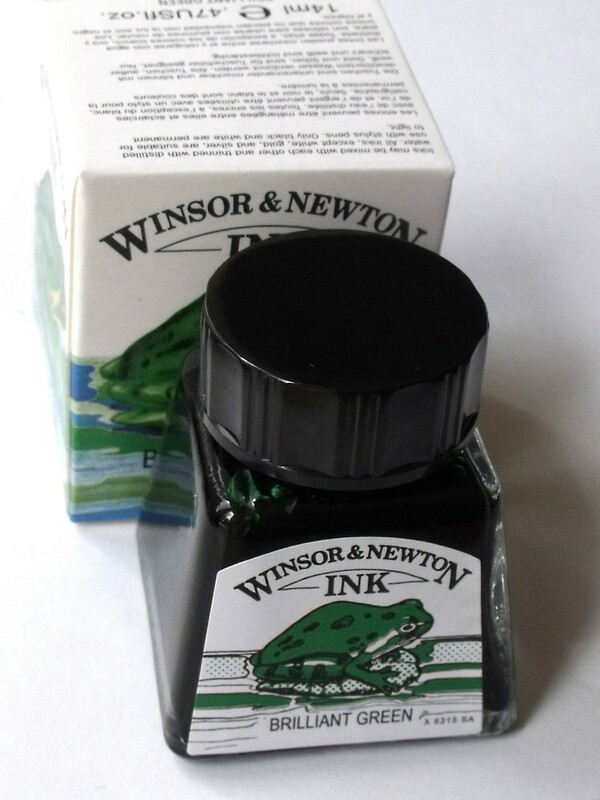 Winsor and Newton Drawing Inks are formulated from a series of soluble dyes in a superior shellac solution. They can be applied with a brush or mapping pen. The colours offer outstanding brilliance and transparency and are fast drying , water resistant, intermixable and easily diluted with distilled water. One 14ml bottle of Orange Ink. 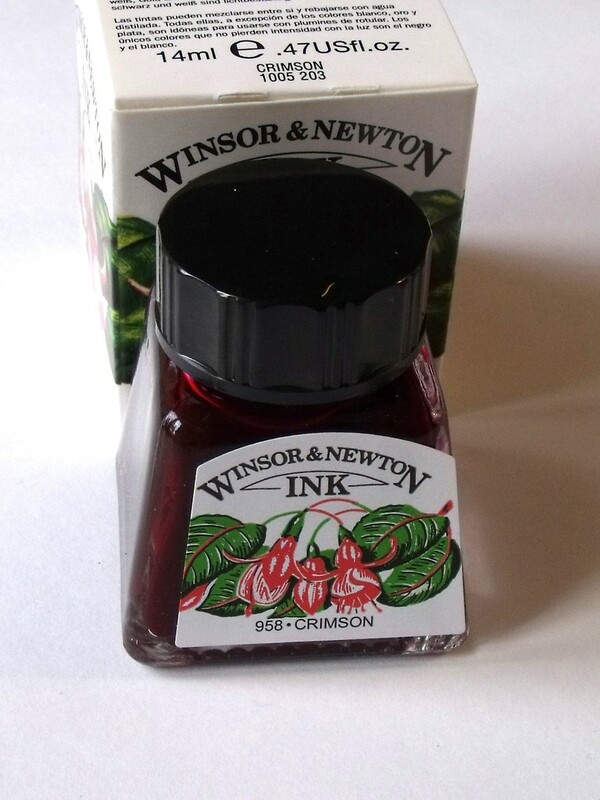 Winsor and Newton Drawing Inks are formulated from a series of soluble dyes in a superior shellac solution. They can be applied with a brush or mapping pen. The colours offer outstanding brilliance and transparency and are fast drying , water resistant, intermixable and easily diluted with distilled water.